Ferris: What happened? Who did this to you? It was only a few years ago that you guys were a nWCHA powerhouse that rocked our world on the regular, and now you’re fighting for a playoff spot? On the outside looking in, Ferris State need some miracles to happen if they want to make the playoffs. First: They need to not lose more than 1 point on the weekend, and Alabama-Huntsville can’t get more than one point (maybe…not sure on the tiebreakers). They are led in scoring by a pair of defensemen: Freshman Cooper Zech (8-20-28) and Junior Nate Kallen (7-16-23). Rounding out the top three is Senior forward Corey Mackin (7-15-22). Zech also leads the team in +/- with a +4. In net, expect to see #30, Freshman Roni Salmenkangas, who has appeared in 26 games with a 3.28 GAA and a .886 Save%. 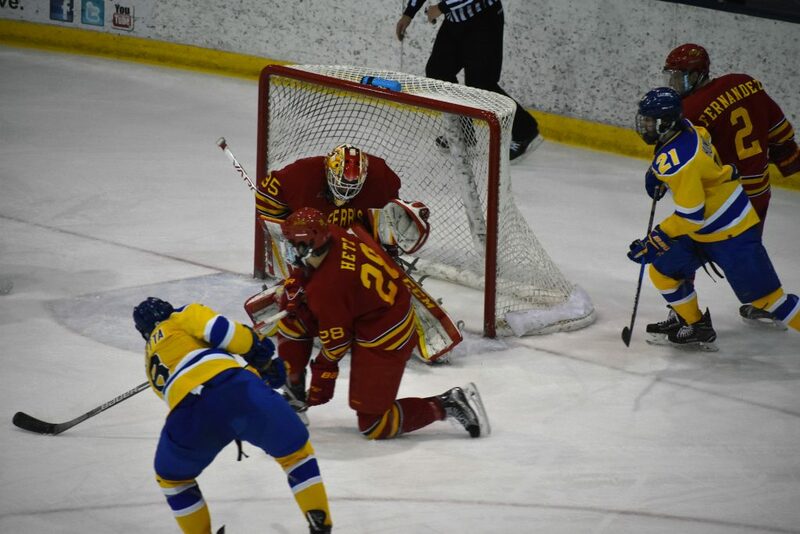 Backup goaltender is Junior Justin Kapelmaster, with a 3.52 GAA and a .903 Save% in 12 games. After being swept last weekend by their U.P Rivals, the Northern Michigan University Wildcats, the Lakers look to rebound and maintain home ice going into the playoffs. As it stands now, if LSSU can win at least one game, and Bemidji gets only two on Friday, the Lakers will secure home ice to start the playoffs (as long LSSU wins the tiebreaker, which I think we do). The Lakers could get as high as second place in the WCHA, but with Bowling Green facing off against Alabama-Huntsville, that seems unlikely. Seeing as this is also Senior Weekend for our outgoing seniors, it seems fitting that two of them are on top of the scoring list, those being Diego Cuglietta (20-14-34) and Anthony Nellis(14-16-30), with Junior Max Humitz(14-16-30) bringing up third. Diego had a bit of a slump last weekend, not getting any points against the Wildcats, so he is still 7 points out of being a 100 point scorer. Luckily, he’ll have at least 4 more games to get there. The last few weeks have seen a goalie rotation. I would expect to see Senior Nick Kossoff out there at least Saturday night, for Senior Night, but I certainly wouldn’t be surprised if he played the whole weekend. At this point in the year, both Kossoff and Mitens have similar Save %, but Mitens eeks ou ta slightly better GAA (but that is to be expected). Rounding out our seniors this year is Steven Ruggerio, former US Gold Medalist for World Juniors, Providence Friar and current Anaheim Ducks draft pick. He has totaled 10 points thus far for the Lakers, and also leads the team in penalties, with 32 total penalties for 64 minutes. And I can’t forget about Gage Torrel, though when the original article went up, I did. Right out of the gate anyone could see Gage was going to be something special for this team, and he was. Gage, Diego and Anthony were all on track to potentially get to that 100 point mark this season, but after being snakebitten for most of last season, Gage slowly fell out of that race, though he has posted an impressive 24 points this season. Senior Night is always hard. Having watched most of these guys over the last four years, it can be hard to say goodbye, especially this year’s batch with and the talent that is leaving this team. Each and every one deserves the applause they’ll get during the ceremonies. Most years it is bitter sweet, however. Either because the team missed the playoffs, or because they’re headed to Mankato where we hadn’t won at, ever. But this year is different. This year hope is in the air. We are looking to have home ice for the first time in years, and it feels like we can win a round too. We have a win against every team in the WCHA, so that locker room knows they can beat anybody. If I dare peek ahead, playoff wins also count towards Pairwise, so there’s still an outside shot that the Laker could make their first NCAA appearance in over 20 years even without a playoff championship, seeing as they are still #20 in the Pairwise. But let’s not get too far ahead of ourselves, as we have to take each weekend one night a time – it just feels good to be optimistic. As always, the puck drops at 7:07pm both Friday and Saturday nights. Senior night will also be held Saturday before the game. 99.5 YesFM will carry the game locally, as will their stream on Yesfm.net, or through the TuneIn App. Flohockey.tv is your source for WCHA hockey this season, so those of you who can’t make it to the arena can watch the game live there. Updated: Senior night celebrations are before the game Saturday night. Also included Gage Torrel as part of the senior crew since I somehow missed him last night. What a season it has been for the Ferris State Bulldogs. Head coach of the Bulldogs is now in his 27th season with the school and has an overall record of 444-466-101. During his tenure, they’ve had some massive success: making a tournament appearance in 2003, 2012, 2014 & 2016, winning the WCHA tournament in 2016, winning regular season titles in 2002-2003, 2011-12 and 2013-14. Heck, in 2012 they made their lone Frozen Four appearance. You wouldn’t know that if you asked the fanbase how they feel, or by looking at the standings, as they are now 7 points out of the playoffs, sitting above Alaska Anchorage. With this in mind, they did shut out #9 Bowling Green last Saturday 3-0 after shutout Friday night 2-0. Despite all the above doom and gloom, they do have a bright light on their team, and that’s Freshman Defenseman Cooper Zech, who is tied at #7 in scoring in the conference, alongside LSSU’s own Max Humitz and Jared Spooner, all with 23 points. Another Defenseman, Junior Nate Kallen is second in scoring and senior forward Corey Mackin make up the top 3 Ferris State scorers. Roni Salmenkangas is the go-to goaltender for the Bulldogs, having played in 20 games, but he does hold a 3.69 Goals Against Average and a .878 Save %. 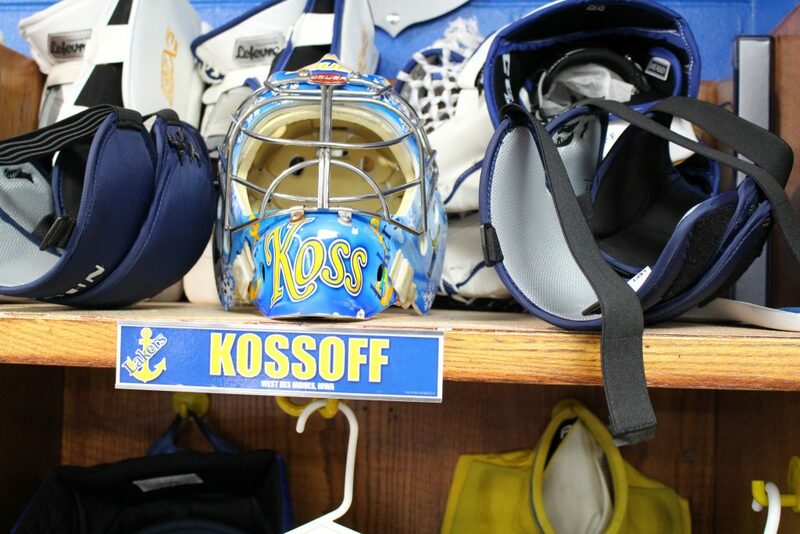 Justin Kapelmaster, a junior, is their backup, playing in 9 games and holding a 2.94 GAA and a .923 Save %. This team feels like a mystery wrapped in an enigma this season. They’ve won 12 games on the road (counting the GLI), and have lost 2. At home, in 6 series (12 games), the Lakers have won 4 games, all of them on Friday. This brings up a lot of questions, but that’s probably for another article. After last weekend’s set of games, Diego Cuglietta is still a point-a-game scorer, with 26 points in 26 games. Close behind him are Anthony Nellis and Max Humitz. Now, Max Humitz has been on one hell of a scoring streak since the Great Lakes Invitational, being within one goal of a hat trick at least twice since the tournament. The goaltending situation is still a bit muddled. Nick Kossoff had an amazing game last Friday night, but would probably want to forget his performance Saturday night (though, the rest of the team may follow suit). We’ll see if Whitten & Co will split the net this weekend, but I expect Nick to start at least Friday night. Puck drops at 7:07 at the Robert L. Ewigleben Ice Arena in Big Rapids both Friday and Saturday nights, for those who are travelling to the game or who are in the area. Bill Crawford will have the call on 99.5 YESFm, or through YESFM streaming online on their website or on TuneIn. You can also watch the game through Flohockey.tv. For those in the Sault this weekend, the school will be hosting a viewing party Friday night at Buffalo Wild Wings.